You know when you meet someone and you just click. That’s the feeling I got when I met this awesome chick, Alexa. I picked up what she was putting down, we were on the same wave-length. She wanted something a little modern, a little edgy, a little unique with the theme of black, white and green. So I took her brief, and ran with it. 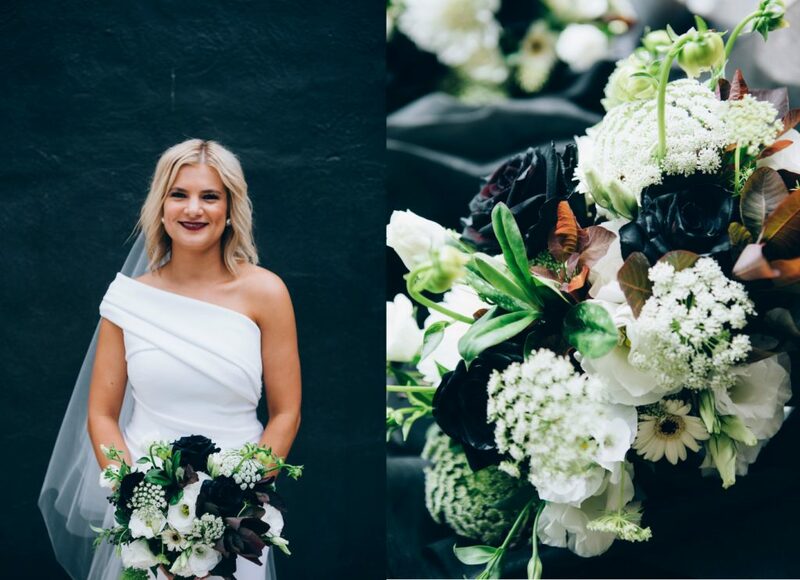 We started with her bridal bouquet which needed lots of texture and contrast, so we opted for seasonal blooms of black Ecuador Roses, white Dahlias, white Lisianthus, white with black centre mini Gerberas and Chrysanthemums, Queen Annes lace, Hebe and Smoke Bush. Special thank you to Love & Other Wedding Photography for these gorgeous images. Images by Love & Other Wedding Photography. 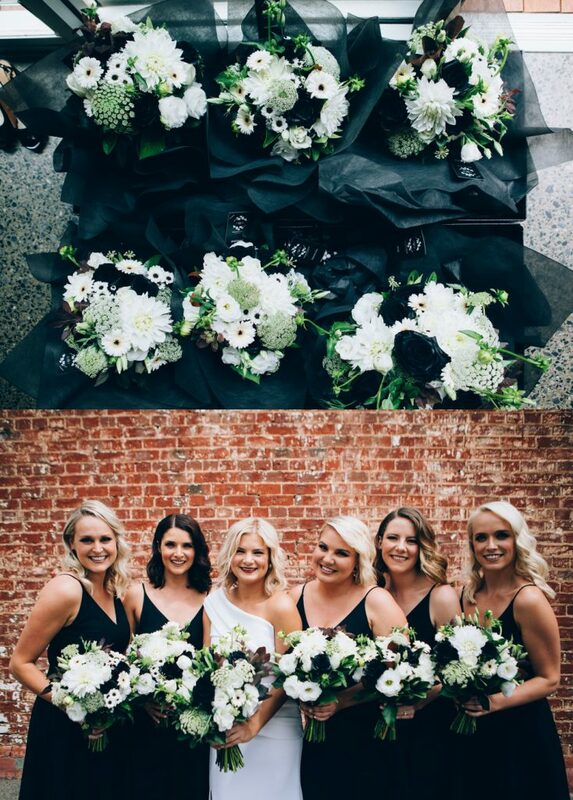 Her classy bridal party of five were wearing black, so they all needed equally beautiful bridesmaid bouquets, just slightly smaller in size but filled with the same combination of blooms, colours and textures. 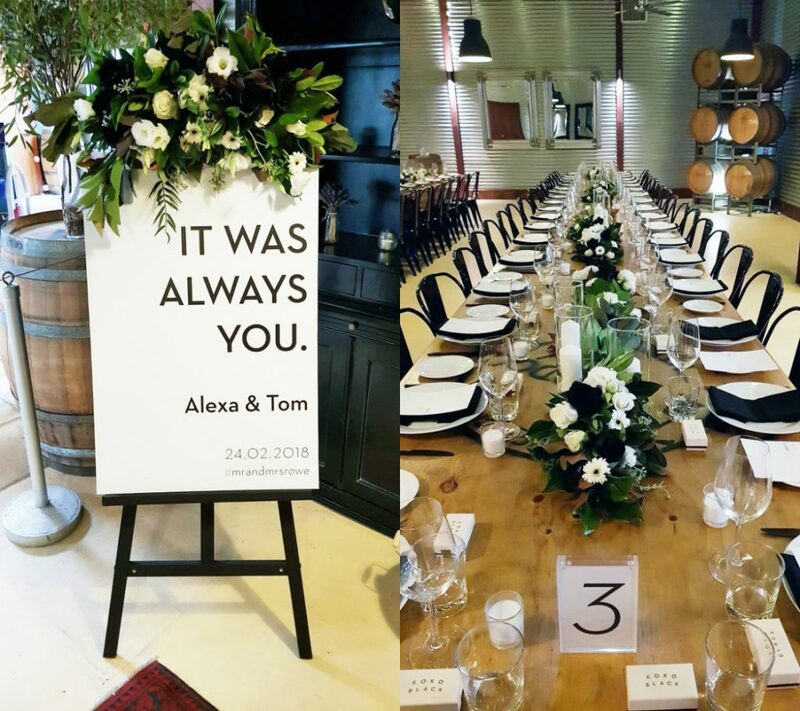 Alexa and Tom were married at the stunning One Paddock Currency Creek Winery. 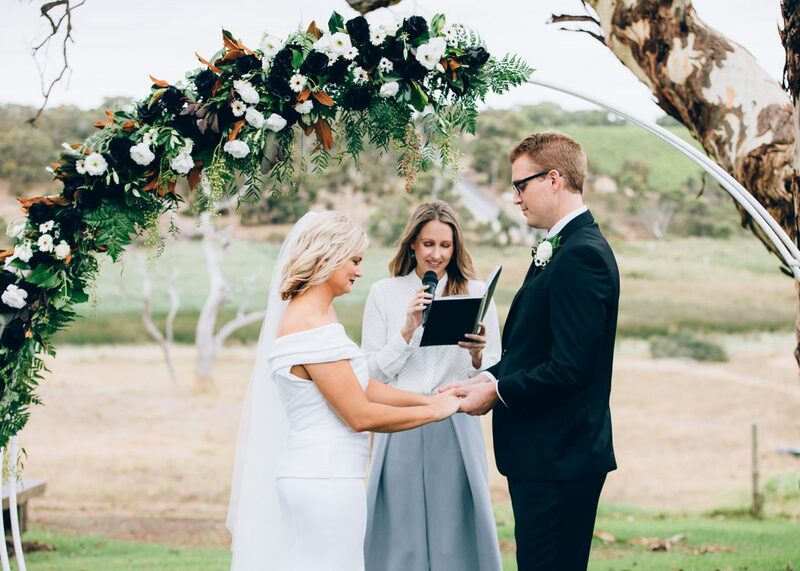 Set in the Fleurieu Peninsula, Tim and Rachel are the lovely hosts, boasting a reception space with a cool industrial vibe and breathtaking backdrop below for the wedding ceremony. We simply framed the setting with a modern floral arch and added matching large feature arrangements to the wine barrels that sat at the start of the aisle. This set the scene for the most romantic ‘I do’s’. 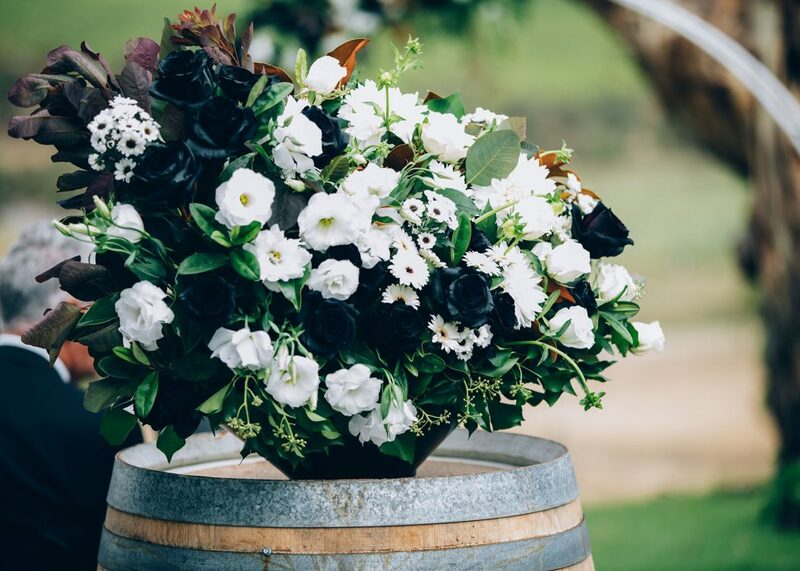 At the reception, guests were greeted with a cute welcome sign spray of black and white blooms. I fell in love with the custom industrial style tables and black chairs at One Paddock. With such a fantastic base, a black and white style table scape came together with fresh floral table garlands running down the centre. The garlands were created in sections to allow for share platters and also made it easy for family and guests to take home florals at the end of the wedding.